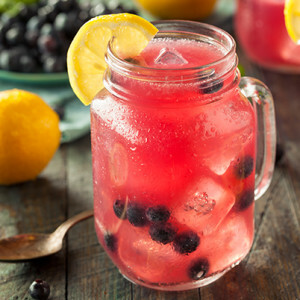 For huckleberry simple syrup, combine 1/2 cup sugar, 1/2 cup water, and 3/4 cup pureed huckleberries. In a glass with ice, combine all ingredients, stir together. Garnish with lime wedges. Enjoy!